WELCOME EVERYBODY! THANKS FOR VISITING OUR WEBSITE. WE WISH YOU NICE WATCHING! 23 july 2016r. Iffy, our best girl born 1 sweet, blue girl. More informations in part KITTENS! 17 july 2015r. Iffy, our best girl born 1 sweet, blue girl. More informations in part KITTENS! 04 april 2015r. Kiki borned 6 sweet, blue kittens. More informations in part KITTENS! 12 june 2014r. Iffy, our best girl born 1 sweet, blue boy. More informations in part KITTENS! 16 september 2013r. Bonnie born 5 sweet kittens. More informations in part KITTENS! 6 august 2013r. Ga Ga born 3 sweet, very big kittens. More informations in part KITTENS! 10 march 2013r. we were in Lublin (Poland) International Cat Show where our IFFY AMBER &ASH won BEST IN SHOW 6-10 months, BEST IN CATEGORY and she had second note all cat show. We are very happy!! 26 june 2012r. Ga Ga born 2 sweet kittens. More informations in part KITTENS! 25 march 2012r. 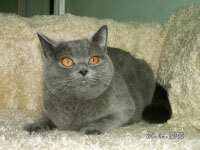 we were in Bratislava (Slovakia) International Cat Show where our Ga Ga gave last CAC so she became Champion. We are very happy!! 13.09.2011r. - We added Ga Ga's gallery new fotos! 8 september 2011r. Bonnie born 4 sweet kittens. More informations in part KITTENS! 30 october 2010r. Bonnie born 3 sweet kittens. More informations in part KITTENS! 22 august 2010r. was organised in Ostrawa (Czech Republik) International Cat Show where our Bonnie gave last CAGCIB so she became Grand International Champion. We are very happy!! 30 october 2009r. Bonnie born 5 sweet kittens. More informations in part KITTENS! 23 march 2009r. Fajita born 1 sweet kitten. More informations in part KITTENS! 7 november 2008r. Bonnie born 3 sweet kittens. More informations in part KITTENS! 26 april 2008r. was organised in Bohumin (Czech Republik) International Cat Show where our Bonnie gave third CACIB so she became International Champion. Next day in Żilina (Slovakia) Bonnie gave first CAGCIB. We are very happy!! 02 march 2008r. we were in Blue City in Warszawa. There were XVI International Cat Show. Bonnie gave third CAC so she became Champion. We are very proud in our blue princess! Today (18.01.2008r.) litters "B" heve finished one year old. The best wishes!! 13 january 2008r. Fajita born 3 sweet kittens. More informations in part KITTENS! 15.12.2007r. - We added Bashira's gallery in part LITTERS, our Bonnie sister! 04.12.2007r. 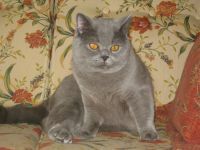 - 1 and 2 December 2007 our Bonnie was first time on International Cat Shows in Warszawa. She gave 2 CAC and on Saturday she won BIV TOTAL and sha had NOM BIS. We are very happy!! 07.11.2007 Fajita visited hundsom, nice cat male so we expecte kittens in half January 2008. More informations in part KITTENS. 04.11.2007r. - New Bonnie's photos! 19.09.2007r. - We invitted Fajita's son Amigo vel Gordon. He is large (7 kilos) boy. His gallery in part LITTERS! 14.07.2007r. - We added Amaro's gallery in part LITTERS and new photos our Bonnie! 21.04.2007r. - We added Bonnie's gallery! 18.04.2007r. - You can see our new female Boonie in part FEMALES! 16.02.2007r. - Today our kittens are one months old so we have new photographs in part Kittens! 18 january 2007r. Fajita born 4 sweet kittens. More informations in part KITTENS! Today (15.01.2007r.) litters "A" heve finished one year old. The best wishes!! In half November Fajita visited hundsom, nice cat male. We expecte kittens in half January 2007. More informations in part KITTENS. We have new photos litters "A". 14 i 15 october 2006r. were very happy days for our Fajita . On IV i V International Cat Show in Warszawa she gave 2 CAGCIB. Actually she is in half way to stay Grand International Champion. 30 september 2006r. 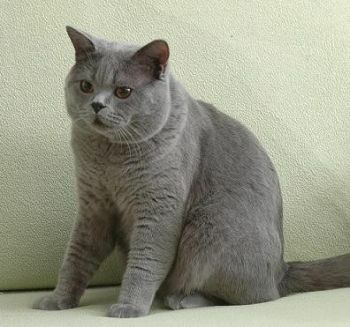 on I International Cat Show in Lublinie Fajita gave first CAGCIB. We expecte next CAGCIBs and we are very happy. 09 i 10 september 2006r. we were in Pałac Kultury in Warszawa. There were International Zoo-Market and III International Cat Show. Fajita gave third CACIB so she became International Champion. We are very proud in our blue princess! This is our Fajia on holiday. She like it. We have new photos our wonderful girl Abigail. She live in Chełm and she is happy. 24 i 25 june 2006r. we were in picturesque city Valtice in Czech Republic on International Cat Show. Show organised in beautiful, baroque castel.Fajita gave next CACIB. On first day june visited us Fajita's son Amigo vel Gordon. He is very big kitten. His weigt in 4,5 months is 3,5 kilos. We are very happy that he has lovely home. 06 april 2006r. our website has new colours(orange and grey) and new design. We wish nice wachting! 21 January 2006r. FIFE approved our cattery's name Amber & Ash*PL. 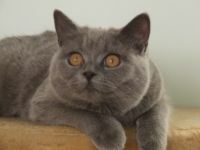 British cats have beautiful, orange eyes (amber eyes) and classic coat color looks like as ash. 15 January 2006r. our Fajita gave birth 4 beautiful, blue kittens. More informations in part KITTENS. 22 and 23 October 2005 year was I i II International Cat Show in Olsztyn. Show, which was Fajita's successful. First day she rivaled with 2 female. Fajita won and got third certyficate on Champion (CAC) and she became Champion. Second day she got first certyficate on International Champion (CACIB). We are very happy!